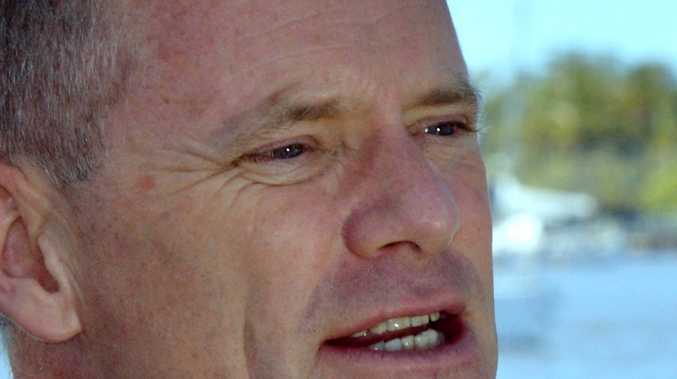 UPDATE: IF CAMPBELL Newman could turn back time on his decision to stop sponsoring the Premier's Literary Award, he would. Or at least that's what he told the media today at the launch of his biography, which at least five book shops have refused to stock. "In hindsight, it was a really unfortunate decision and it was used against us constantly by people who wanted to paint a particular picture," he said at the Brisbane book launch for Can do: Campbell Newman and the Challenge of Reform. He said people painted him as someone who could not read and was against books and literature. "It was $20,000 or $40,000," Mr Newman said. 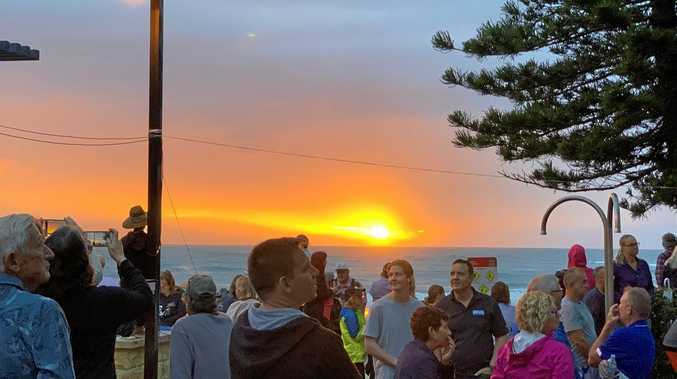 "(the awards were) not cancelled, not banned, we simply took away some sponsorship because the authors that were getting the awards in the last few years weren't typically from Queensland and weren't even turning up to collect their prize. "Today we have five to six bookshops across Australia at least who just can't let it go. "They won't sell you the book because of that, supposedly." He said the awards continued with funding from the private sector - as the government hoped. The other decision Mr Newman would change was appointing Tim Carmody as chief justice. But he maintained the former chief magistrate was the right man for the job. Mr Newman said Justice Carmody's appointment was not political, it was about reforming a court system that was costly and inefficient. Mr Newman blamed unpopular policy decisions and repeated coverage of Labor's accusations the LNP government was "arrogant and secretive" for his swift demise in popularity with voters. He said media coveraged needed to focus on policy, not people. One person highly critical of the Newman government, Tony Fitzgerald, was accused of staying silent about the current Labor government and Premier Annastacia Palaszczuk. As to Labor's future in Queensland Government, Mr Newman said they were likely to remain in office according to current polling. But he said there was a long time between elections. EARLIER: A BRISBANE book store is refusing to stock former Queensland premier Campbell Newman's book over his attack on the arts while in office. Mr Newman has today released his biography, Can do: Campbell Newman and the Challenge of Reform. When he was elected in 2012, one of his first acts was to axe the Premier's Literary Award. During its term in office the Queensland LNP cut millions from arts grant programs. Avid Reader Bookshop in Brisbane is supposedly just one of the stores around the country boycotting the book. Avid Reader's owner Fiona Stager told 612 ABC Brisbane that Mr Newman had attacked the literary community. "It seemed ironic that the first thing he did after losing was to turn around [and] be involved in the publication of a book," Ms Stager said. "A lot of my customers lost their jobs. They either worked in government or organisations which were defunded. "it had a big impact on my first Christmas. "Booksellers have a long memory." Ms Stager said the book wasn't banned and customers are welcome to order it in. Meanwhile Online bookmaker sportsbet.com.au is offering odds of $51 if Campbell Newman's new book Can do: Campbell Newman and the Challenge of Reform outsells John Howard's Lazarus Rising. The book has so far sold out its first print run. Sportsbet are also offering $11 if Newman outsells Mark Latham's 55,000 copies of the Latham Diaries. While Newman couldn't deliver a sequel for his one-term LNP government, Sportsbet will pay $21 if Newman delivers a sequel to his new book, and $51 if the book is made into a TV drama series or film by the end of 2017. With Tony Abbott no longer judging, Newman winning the Prime Minister's literary award is a long shot at $51, while Newman winning the Pulitzer Prize is about as likely as he is to be remembered as one of Queensland's great leaders, but for the true believers Sportsbet is offering odds of $501.